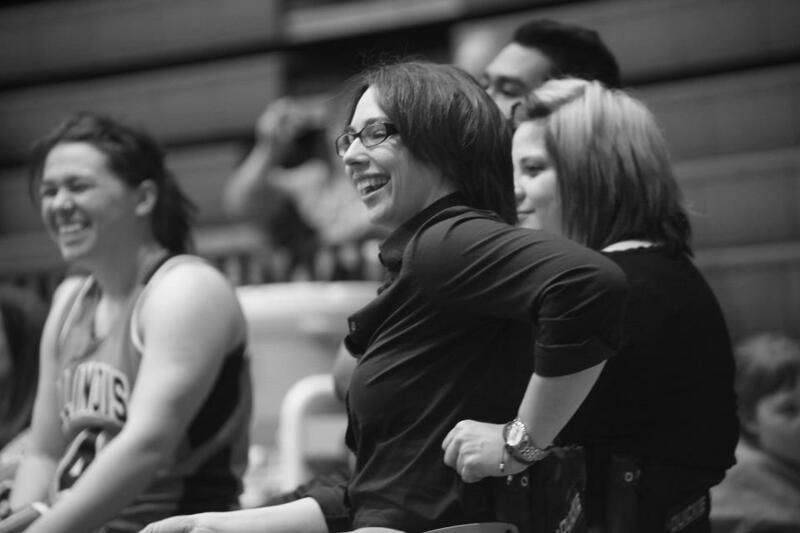 University of Illinois wheelchair basketball coach, Stephanie Wheeler: Role model, Olympian, and out athlete. Now, more than ever, we need coaches be out-allies. I wrote this article exactly one month ago, yet during last week’s Nike LGBT Sports Summit, I was again reminded of the crucial role of coaches for the LGBT sports equality movement. During a small group session with student athletes, a young lesbian athlete nearly cried as she described how much it meant to have her coach’s support: Her coach reacted with openness and respect which in turn strengthened their coach-athlete relationship and has allowed the athlete to excel as an athlete and team player. Coming out is a personal decision and no one should be forced to come out, yet we need more coaches (regardless of being LGBT or not) to join our movement as visible allies. For those LGBT coaches who do want to come out, there are peer resources such as Equality Coaches Alliance to support you. Just as you have asked us to step up as athletes, we are asking our coaches to step up and be allies. Ever since I was a kid, I have looked up to my coaches as if they could do no wrong. Even in college, after I learned (as most kids do) that my coaches were human too, I wanted to do everything in my power to please my coach. If my track coach told me to run 20 repeats of 200 meters (yes, this was one of our workouts) or wear purple socks on race day, you’d better believe I would do what she told me. I listened to every word she said, and I did what she asked me to do (most of the time). Her word was gospel. As coaches, you ask us as athletes to go above and beyond what we think we are capable of doing. Both my high school and college coaches were instrumental to both my athletic and personal development. On our teams, we athletes don’t just learn how to run fast, throw far or jump higher. Sports teach us values and help us build character. Many of the values that inform my current professional career were values that my coaches taught me as part of being a good teammate: being on time, trying my best, staying patient even when I’m losing, and respecting others. My high school coach was famous for telling us “mind, body, soul” if she suspected that there was something going on behind the scenes. Personal problems or not taking care of our health inevitably affected how we performed on the track. For instance, there’s nothing more painful or awkward about your first high school breakup, and mine happened to be with a girl. If I wasn’t able to come out to my best friends (who were also my teammates), it is very likely that I would have quit the team altogether. If one of my coaches had forced me to stay silent about being bisexual, I am pretty sure that this would have crushed me. I’ve had authority figures in my life tell me that being LGBT is wrong, but if a coach had told me this, I am not sure whether I would have been able to recover. This past weekend, basketball player Brittney Griner opened up to ESPN about the fact that her coach at Baylor, Kim Mulkey, did not want her to talk openly about her sexuality. “It was more of an unwritten law,” she explained. “[I]t was just kind of, like, one of those things, you know, just don’t do it.” It’s no coincidence that she waited until graduation and her professional career was secured before discussing her coaches. As an athlete, bad-mouthing your school or coaches is similar to bad-mouthing your family, which makes it even harder for LGBT athletes to report harassment and silencing that occurs on their teams. I like to assume best intentions, and I believe that most coaches are doing what they believe is right for their athletes and their teams. However, I also believe that the old idea that “it’s better not to talk about” is not appropriate for our younger generations. We not only want to talk about it (and for you to help us talk about it); we want you to accept us and support us. At the very least, coaches and staff should respect us. Coaches should know that playing by the old playbook can only work for so long. We evolve and learn more about nutrition, proper equipment and performance techniques. It’s no surprise that we can also improve in how we learn to treat each other. Science has proven the detrimental impact of being closeted and has proven the benefits to an athlete’s health (mind, body and soul) when he or she is embraced fully rather than rejected. Coaches, you cannot underestimate the power that you have had in our lives. You have asked us to step our game up and go that extra mile to be better athletes. And now we are asking you to support us, learn how to make your teams safer, and realize that your words and actions (both positive and negative) can change an athlete’s life forever. Anna, this is such a powerful message. HS and College athletes need to know they are valued for who they are: people first and everything else second – whether that everything else is their identity as an athlete or their sexual identity or whatever.